There are several other bridges across Cholame Creek and it's tributaries near last week's Parkfield Bridge. 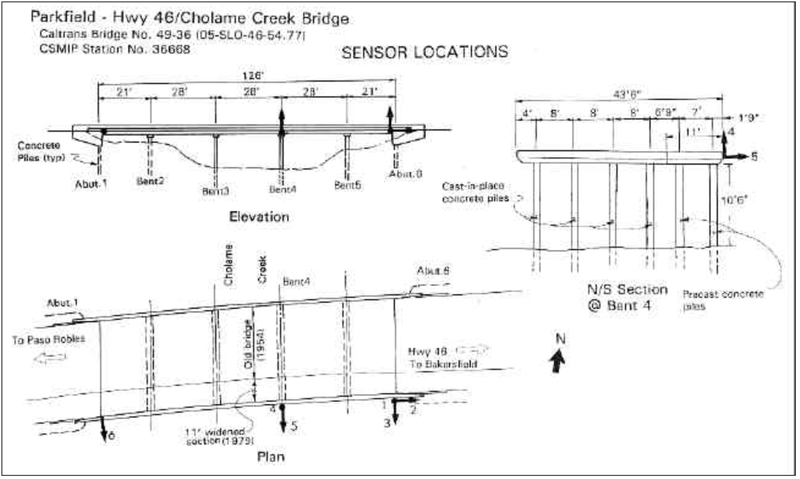 The Little Cholame Creek Bridge (44C0036) is a single span truss with rods for tension members (and with a 35 degree skew). It was built in 1910 but still looks brand new (see photo above). Further south is the Cholame Creek Bridge (44C0146), an eight span steel stringer bridge very similar to last week's Parkfield Bridge. It has the same substructure consisting of three steel 'H' piles with cross bracing and it was also built in 1960. It's surprising that such a flimsy bridge survives the moderate earthquakes that occur every 21 years. A little further to the south (in San Luis Obispo County) is another Cholame Creek Bridge (49 0036). It is a five-span, 130 ft long, slab bridge on pile extensions. 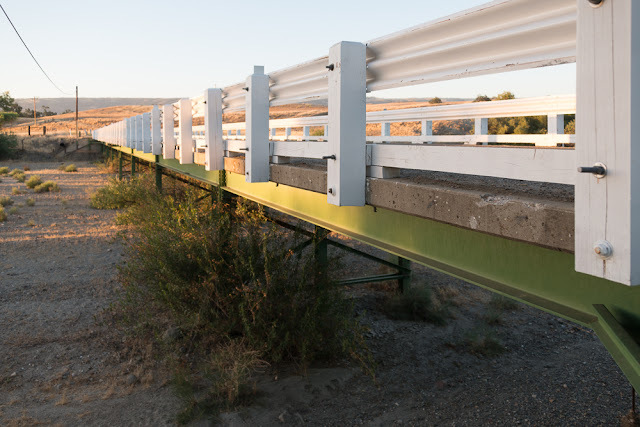 This state owned and instrumented bridge was only 500 ft from the San Andreas Fault, it recorded accelerations greater than 1.0g during the 2004 Parkfield earthquake, and it sustained some minor damage. 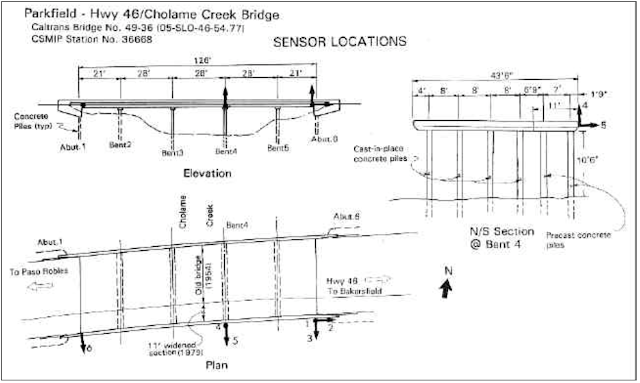 A report on the seismic performance of the bridge is available online.